Asian shares rose, tracking equity gains abroad, after material and financial companies advanced as investors took a breather from trade war fears and refocused on prospects for corporate earnings growth. 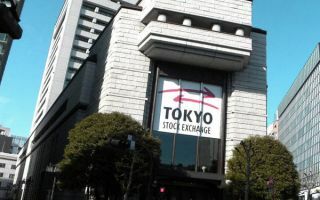 The MSCI Asia Pacific Index climbed 0.2 percent to 173.96 as of 4:29 p.m. in Hong Kong, with Japan’s Topix increasing 0.6 percent after the yen weakened against the dollar overnight. Hong Kong’s Hang Seng Index slipped 0.1 percent, while South Korea’s Kospi gauge gained 0.5 percent. U.S. President Donald Trump said he’s considering rejoining the Trans-Pacific Partnership trade pact. Taiex +0.1%, Kospi index +0.5%, Kospi 200 index +0.5%, S&P/ASX 200 +0.2%, New Zealand’s S&P/NZX 50 +0.1%. India’s S&P BSE Sensex Index +0.3%, NSE Nifty 50 Index +0.2%. Straits Times Index +0.9%, Malaysia’s KLCI -0.3%, Philippines Stock Exchange PSEi Index -1.8%, Jakarta Composite -0.3%, Vietnam’s VN Index -1.4%.